In the midst of honking horns and littered streets, vegetables grow along with the people harvesting them. Fresh vegetables at Growing Home's Wood Street Urban Farm. Urban farming has been on the rise in the past decade, working to eliminate hunger issues and create jobs for those in need. Growing Home, a nonprofit organic agriculture organization that strives to erase hunger and employ individuals who have had problems with job sustainability and homelessness, runs one farm in upstate Marseilles, Ill. and two urban farms in Chicago with another on the way. On Oct. 14, Growing Home began farm development and production on Honore Street Farm, a new urban farm that will serve as an extension to their Wood Street Urban Farm in Englewood. As the first farm to open under Chicago’s new urban agriculture ordinance, the Honore Street Farm will be located at 58th and 59th Street and will work to combat the large food desert and food insecurity problems in the surrounding Englewood area. 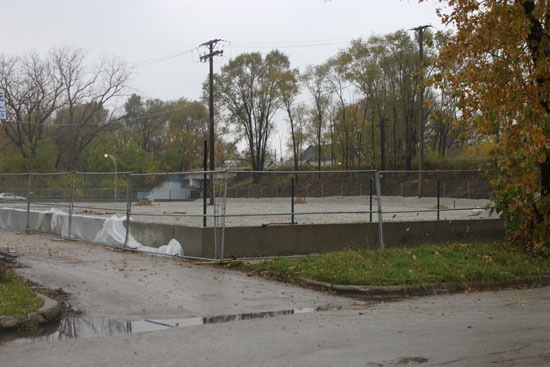 The site for Honore Street Farm, located at 58th and 59th Street in Englewood. 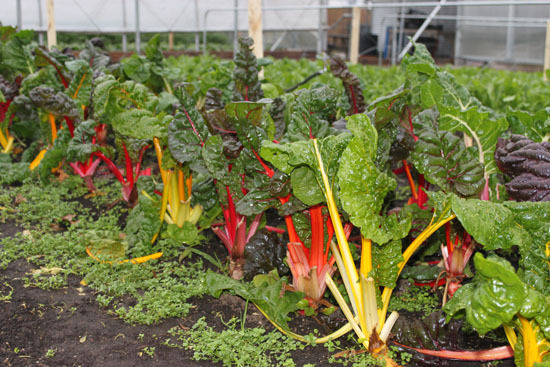 Passed by the Chicago City Council in September, the ordinance expanded the size of community gardens to 25,000 feet, which allows for farms to fit within city limits, according to a report by WBEZ. This ordinance helped Growing Home to break ground on the Honore Street Farm by reducing requirements and paperwork and will pave the way for other urban farms to develop in the future, according to Washburn. This rise in urban farming correlates with high food insecurity and food desert rates in Chicago. According to a study by the Greater Chicago Food Depository, Englewood is tied with North Lawndale for the highest food insecurity rate in Cook County with 31.2 percent of people who don’t know where their next meal will come from. Defined by the ERS and USDA as, “Limited or uncertain availability of nutritionally adequate and safe foods or limited or uncertain ability to acquire acceptable foods in a socially acceptable way,” food insecurity spreads much further than Englewood alone. According to the study by the Food Depository, the food insecurity rate in Cook County is at 16.1 percent. This means that 845,910 members of Cook County — one in six people — are struggling to put food on the table. Many food insecure areas lack sufficient retail outlets that sell fresh and healthy food, classifying them as “food deserts,” according to The Chicago 2011 Food Desert Drilldown by expert Mari Gallagher. The study revealed that 383,954 people in Chicago are living in food deserts, which is a sizeable drop from the 632,974 people found to be living in these conditions in 2006. “Mari Gallagher just published a report saying that we are making a dent, not just Growing Home, but everyone that is working on the food scarcity problem is making an impact, which is encouraging to hear,” said Washburn. Although food deserts may be decreasing, food insecurity rates are still alarmingly high and Growing Home, along with many other hunger organizations, know they have their work cut out for them. Working with several community partners, such as Teamwork Englewood, NeighborSpace and the Greater Englewood Urban Task Force, Growing Home hopes to continue promoting healthy eating and urban agriculture. 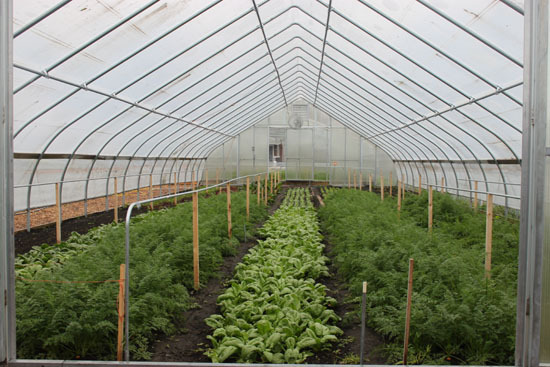 Hoop house with fresh veggies at Growing Home's Wood Street Urban Farm. Founded in 1996 by Les Brown, the former policy director at the Chicago Coalition for the Homeless, Growing Home was originally started to provide job training for Chicagoans in need and allow them to find a sense of purpose that would help to break the cycle of homelessness. Launched in 2002, Growing Home’s first farm started in upstate Marseilles, Ill. and became known as the Les Brown Memorial Farm when the organization’s founder passed away in 2005. The organization revised its mission in 2009 to not only focus on the transformational possibilities of growing and nurturing one’s own food, but to also encompass a wider scope of what organic agriculture can offer individuals and communities as a whole, according to the Growing Home website. Fred Daniels, 28, started Growing Home’s training program on Apr. 12, 2010 and was hired on as the Production Assistant at the end of his term. As an Englewood resident, Daniels recognizes the influence Growing Home has had on his community and in his own life. With funding from individuals, foundations and some federal money, Growing Home believes they have what it takes to be sustainable and continue expanding in the future.